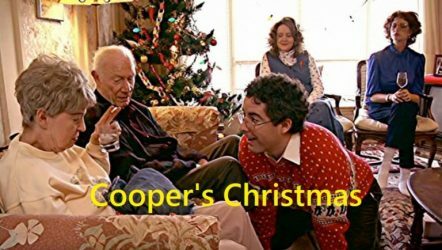 Coopers Christmas– This movie is nowhere near one of the best Christmas Movies made, but it may very well be the naughtiest. The only reasonable way that I can describe this VHS film is the joy that a dog incurs when it eats its own vomit. Yes, it is that good. 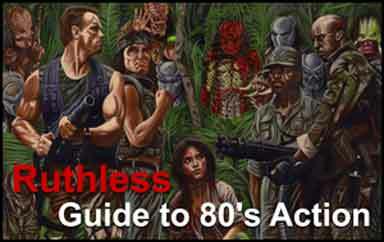 From the endless mullets to the crazy and zany Family Values, this film separates the wheat from the chaff. You are either all-in for Christmas mockery, or you are not. It was vile, vulgar and in extremely poor taste. I loved it. 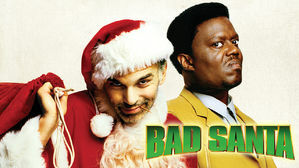 Bad Santa– The character development in this movie is nothing short of amazing. No other actor in any universe could have pulled off this role so well and taking the part would have been career suicide for most. Billy Bob Thornton embraced and absorbed the character of Willie T. Stokes as second nature. Willie is a hopelessly depressed, suicidal, profane and a deeply misanthropic alcoholic shell of a human being, and that is Willie on his good days. Thornton burns Christmas to the ground in this anti-Christmas classic. The sequel? Not so good. Hogfather– This movie is the made for TV film adaptation of the Terry Pratchett novel Hogfather, which is part of a the immensely popular Discworld book series. This TV movie is lengthy and is presented in two parts. This is not your typical save the Christmas movie as you might instantly guess, but with its gorgeous sets, splendid acting and dialogue (those Brits! ), and the outrageous and intriguing plot, it became one of my Christmas favorites. Death was the key character who like Jack Skellington, felt compelled to take control of Hogswatch, as the Hogfather had disappeared. 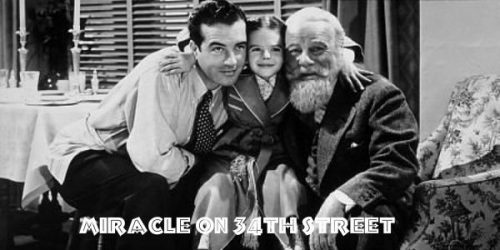 Miracle on 34th Street– I was a naughty boy in my review, but I take it all back as this is one of my favorite holiday classics. The story line is really unique and never gets old. The only thing I didn’t like was the dreadful treatment of Granville Sawyer., one of the movies unsung heroes. As the only sane cast member in the movie, he instantly recognizes Kris Kringle’s depravity and delusions, and tries to head off lawsuits and chaos by having the manic and deeply disturbed Santa fired. For these efforts as a responsible executive, he is physically attacked by Kris Kringle and publicly humiliated and fired by the C.E.O., all for nothing more than doing his job. A Christmas Carol (1984)– A story of manipulation, terror, torture and death, where a middle-aged businessman and taxpayer is harassed and brutalized by religious zealots who in total disregard of individual liberties, use sleep deprivation, hallucinations, coercion and death threats to convince this man to see things their way. The great George C. Scott is a wonderful Scrooge. All he wanted was to be left alone, but no, it was Believe -or- Else! This made for TV version is one of my favorites, only eclipsed by the great Alastair Sim version. The Nightmare Before Christmas– Tim Burton’s Nightmare Before Christmas is a Halloween-Christmas hybrid that is wildly original and infinitely watchable. The cinematography, sound track, and yes, the character development are all quite amazing in this timeless holiday classic. Jack had an itch that he just couldn’t scratch and when he got a glimpse of Christmas Town, there was no stopping his quest to upgrade his own personal holiday. This movie was made without CGI and is one of the best animated films ever. National Lampoons Christmas Vacation– From the opening scene where they procure the traditional Family Christmas Tree to the last crash of glass from the Griswold’s much-abused house, this classic is a laugh a minute account of unparalleled holiday disaster. The supporting cast was marvelous and helped ramp up the calamities to a level of yuletide absurdity, Clark Griswold was clearly on his own except for a steadying influence from his son, Rusty and his supportive Dad. 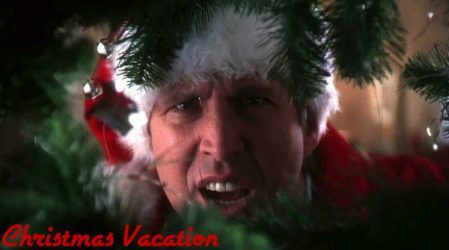 Chevy Chase carries the Christmas Vacation as a tall, handsome food executive, who is just an excited little kid inside. Randy Quaid is absolutely hysterical as Cousin Eddie, the lovable and hopelessly optimistic hayseed from Kansas. How The Grinch Stole Christmas (1966)– The original How the Grinch Stole Christmas! is a charming little short animation that was written by Dr. Seuss and narrated by the late great Boris Karloff. The absolutely fabulous Grinch Song is not sung by Boris Karloff, but actually credited to Thurl Ravenscroft of Tony the Tiger Frosted Flakes, (they’re GREAT!!) fame. I never tire of watching this wonderful animation. 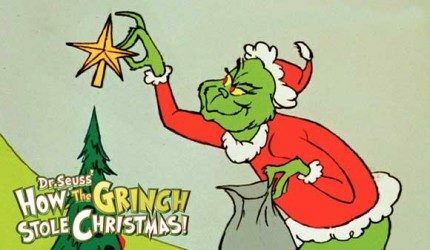 The Grinch is probably the most unique character ever and is certainly the biggest Christmas villain in the history of the hijacked holiday. Even though he was thwarted in his plan to steal Christmas, it was inspired and memorable. Even throughout the film and his burglary, we love the Grinch and his sidekick Max. A Christmas Carol (1951)– This movie is is over 60 years old, but has aged beautifully as the acting, the lighting, the editing, the musical score, the thorough backstory and the timing, deliver to the viewer a depth not reached in other versions. Especially effective was the stark black and white contrast, because instead of making the film look dated, it did just the opposite, enhancing the cold misery and the horror in grand noir style. 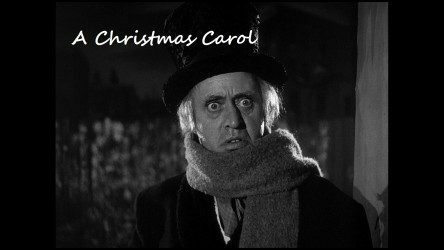 No one suffered more from the cruel self-reflection than this Scrooge, Alastair Sim, perhaps the most awesome actor to ever fulfill this role. This hard-hitting version revealed more vividly the events that shaped Scrooges actions and attitudes as portrayed by the Ghost of Christmas Past. A Christmas Story– Not only is the my favorite Christmas Movie, but it contains the greatest Christmas Character ever, The Old Man. As the head of the nuclear family, he bellowed, he mused, he grimaced, he wise-cracked, he danced and celebrated, and his enthusiasm for major prizes, furnace and fuse battles and the ongoing war with the Bumpus’s hounds was unparalleled in film history. Ralphie’s character reveals a ruthlessness and focus that would be the envy of a seasoned serial killer. Christmas is the time during which the entire kid-dom year evolves and Ralphie demonstrates time and time again that nothing will get in the way of him getting the Christmas goods. Cloaking this dark side perfectly in the simple setting of family and tradition, Ralphie toggles between solving real world obstacles and his bizarre reveries of achievements that will bring him closer to his goal. The magnificent character of Jean Sheppard, narrating as Ralphie as an adult is what puts this great movie on top. His enthusiasm rivaled that of the old man as he takes us on a wonderful Christmas journey that is impossible to forget. 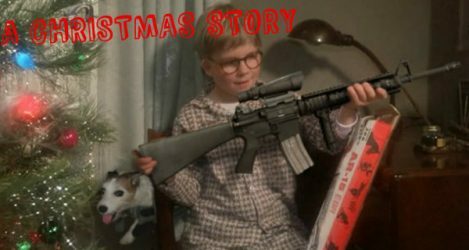 A Christmas Story is my favorite Christmas Movie and in my book is the #1 Christmas Movie of all time.